The 2016 election finds the author on a search for the real America. Sexton (Creative Writing/Georgia Southern Univ. ; I Am the Oil of the Engine of the World, 2016, etc.) found himself in the political cross hairs when some of his reportage on the Trump campaign drew attention—and even death threats—from his supporters. “Trump wasn’t the cause, he was the disease personified,” writes the author, and then continues, “Trump’s true talent was finding the pulse of these ignorant, livid people and playing them like a virtuoso strumming an instrument.” Yet these people are as recognizable to Sexton as his own family and the blue-collar milieu in which he was raised, and he understands how and why Hillary Clinton couldn’t connect with them. He has more of an affinity for Bernie Sanders, who inflamed the passions of the left just as Trump had with the right and whose campaign went from making a statement to a surprisingly strong bid for victory. The author reserves his deepest exasperation for those purists of the far left who refused to see a significant difference between Trump and Clinton and who even turned on Sanders when he attempted to unify the party. “They were purists,” he writes. “To them, there was right and then there was wrong.” Sexton’s campaign coverage comes from a ground-floor, grass-roots perspective. The only convention that gave him press credentials was that of the Green Party, so he generally writes from the periphery, among the crowds who sometimes seem more like mobs at the rallies. Whatever he learned didn’t make him more prescient, since pretty much until election night, he strongly believed (as did millions of others) that “Donald Trump will not be president.” His book sometimes feels like a leftist counterweight to Hillbilly Elegy, laced with shots of Hunter S. Thompson, and it’s clear that Sexton couldn’t believe what he had seen until it was too late. 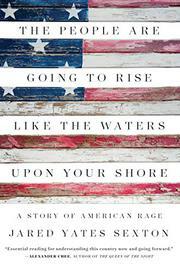 Though it lacks the stinging punch of Thompson, the book is a useful snapshot of a tumultuous presidential race.